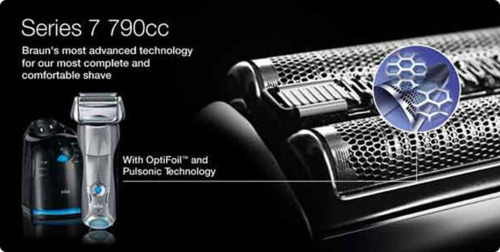 What would be the key dissimilarities between Braun series-7 760cc and 790cc shaver? Finding the answer to that question would be the main mission of this review. Men could be really picky about their shavers. After all, this tool is necessary in order to look great and get a good shave. Facial hair can look good and play a huge role in the creation of a distinctive personal style. However, if a beard is not groomed well enough, it could turn messy. Because of this, most companies tend to make sure that they produce the right kind of shavers to serve their consumers. Our aim is to provide you with the right information about both models, 760cc and 790cc by Braun. The electric shaver gets a lot of ease for men who tend to always be on the go. Many of the eShavers come cordless so that you can just charge those and pull out whenever you would have to go. You could have a great shave even when you go hiking or camping. The latest line Braun created offers speedy devices well designed to trim your facial hair. You would not have to polish up the blade or even prepare the water before starting your shave. All you have to do is to turn the switch on, and you are ready to shave away. The article is going to give you enough information so you can consider when choosing the best electric shavers in 2019 that suits you. The model Series 7-760cc by Braun comes in black and silver. Its price ranges from $160 to $240. Dimensions are 6.3 inches x 6.3 inches x 10.1 inches and weights 2.4 pounds. The package dimensions are 6.6 inches x 6.4 inches x 10 inches. The weight of packages is 2.5 pounds. On the other hand, the model Series 7-790cc by Braun comes in silver. Its price ranges from $190 to $270. Dimensions are 6.3 inches x 6.3 inches x 10.1 inches and weight 2.7 pounds. The package dimensions are 6.4 inches x 6.3 inches x 9.9 inches. The weight of packages is 2.5 pounds. However, this set of data is subject to modifications. Any information on availability and price showed on merchant sites at the moment of purchase would apply to your shopping experience. Read on to know the differences between Braun series-7 760cc and 790cc shaver. Without the slightest doubt, you would end up having the best electric shaver along with the Braun shaver reviews and details the article would give you. In case your facial hair grows fast, the Braun Series 7 790cc shaver would be the best tool for you. Along with that, if you have sensitive skin, then you would not have to be anxious about irritations at all. It is because ActiveLift technology takes care of those flat hairs you have on the skin. A lot of men like to grow beards, sideburns, and mustaches. The model 790cc will be the finest kit if you want to buy a cheap one instead of Braun 9090cc shaver or Braun 9095cc shaver of the latest Braun series 9 shaver models. You can select various modes as well. These can be normal, intensive or extra sensitive. Ideal for men that tend to grow beards, mustaches, and sideburns. The 790cc model could be positioned in various modes— normal, intensive and extra sensitive. This can be used both in wet and dry shaving. This electric razor is 100% waterproof. This model possesses one LCD screen which includes the battery status. It carries a Clean and Renew System which would make cleaning stress-free. The ones who have used Braun 790cc shaver find the device really useful when they are on the move. This machine is cordless and needs only one hour to be fully charged. This means that you can use it with no worry of you having to stop in the middle of your shaving routine. You can also opt for its quick charge trait that only lasts for 5 minutes as well. The Braun 760cc shaver is one resourceful shaving unit which you will love to include in your personal grooming set. This is a portable and innovative machine. If you are looking for a constant grooming companion, you should definitely consider the Braun 760cc models. This Braun 760cc has something called Optifoil technology. It provides closer shaves. This also possesses ActiveLift in order to raise all the flattened hair on the skin. It tends to make shaving so much easier for you. It comes with foil blades which give you a really close shave. It offers 50 minutes of charging and 50 minutes of shaving time as well. It comes with a quick charging feature. 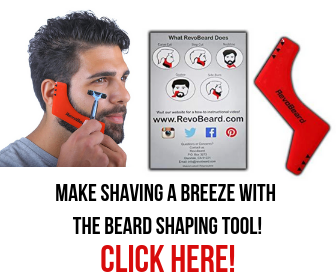 The device has one Active Cooling Technology which cools your skin as you shave. The 760cc offers quick charge time. This feature makes the shaving very easy to use, especially in places with no electricity. The Active Cooling Technology would be great in case you want a spa-like feel while you shave. This is because it would cool your skin while you use for men who have sensitive skin, this one is definitely one great product. Finally, out of Braun series-7 760cc and 790cc shaver, we will certainly recommend the 790cc by Braun. The fact that it comes with a longer charge time would make no difference, since there is a 5-minute quick charging feature. On top of that, you can use it effectively when you are traveling since it is cordless. This Braun 790cc shaving kit is a great kit as well, particularly when you have sideburns, a mustache or beard to keep. You would not have to find a pair of scissors in order to do the job well. You just plug the 790cc model, and you would have the coolest shave every time. If you like this review or have anything to add to it, you are welcome to write a comment below. We’d love to hear your feedback on these differences between Braun series-7 760cc and 790cc shaver. Previous story How to Deal with Dry Skin under your Beard?